The annual Sands for Singapore Charity Festival is the anchor initiative of Sands for Singapore. Started in 2013, the multi-day festival serves to increase public awareness of Marina Bay Sands’ partner charities and raise funds for them through a series of meaningful events that utilise every facet of the integrated resort – from the retail mall and restaurants, to the convention centre and museum. Over the past six editions, Marina Bay Sands has raised over S$23 million for local charities. Click here to read more on our Festival this year. 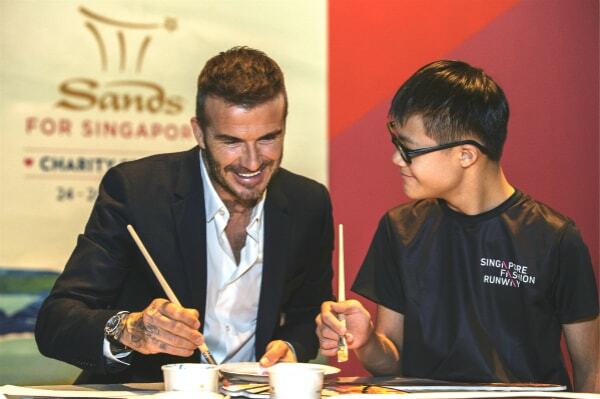 The 2018 Sands for Singapore Charity Festival was officially launched on 23 June by Sands Global Ambassador David Beckham and special needs artist Leong Sijun, during an intimate art jamming session with 15 children and youth beneficiaries from AWWA Family Service Centre and Singapore Fashion Runway. 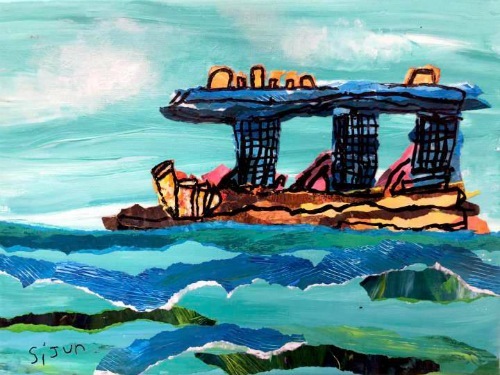 The art work displayed on this year’s Festival collateral is specially created by Sijun, a 15-year-old artist with Down Syndrome from local social enterprise Singapore Fashion Runway. Sijun was commissioned by Marina Bay Sands to create a special art piece that will feature across the Festival’s branding in its 2018 edition. The art work shows the iconic three towers of Marina Bay Sands surrounded by water, to portray the integrated resort as a ‘big ship’ that carries and supports the community through its corporate social responsibility initiatives. editions of the Festival here!